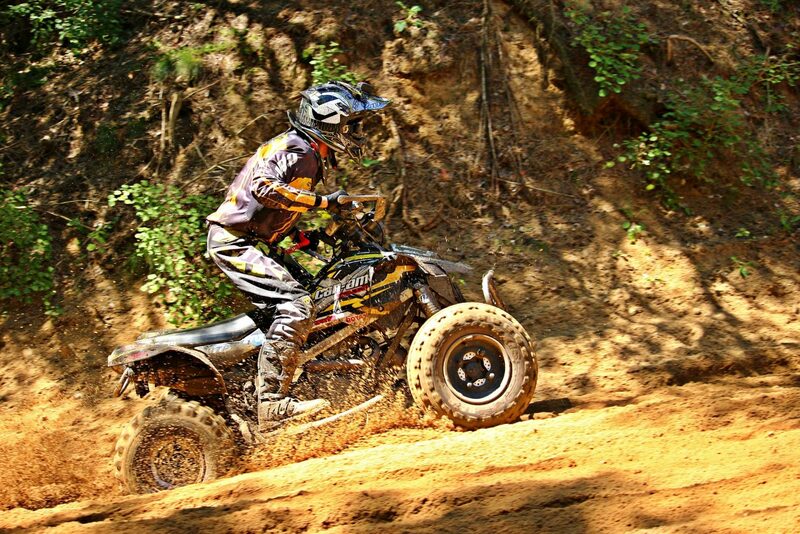 Individual snowmobile clubs throughout Colorado groom a combined 3,000 miles of trails each winter. 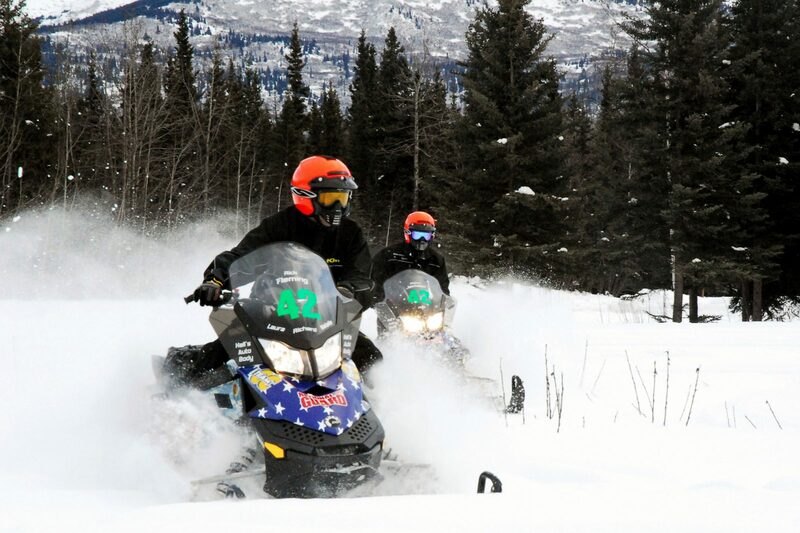 Westcliffe- and Pueblo-based Sangre Snowrunners Snowmobile Club, a local chapter of the Colorado Snowmobile Association, dedicates much of its time to maintaining the Ophir Creek Snowmobile Trail System, one of Custer County’s most popular locations for winter sports enthusiasts. Head past Ophir Creek campground for the Ophir Creek Trailhead. Take the Elmer Canyon Trail to Deer Peak for fantastic views of the Wet Mountain Valley. Greenhorn Road follows a 16-mile ridgeline with a 2- to 5-mile width. 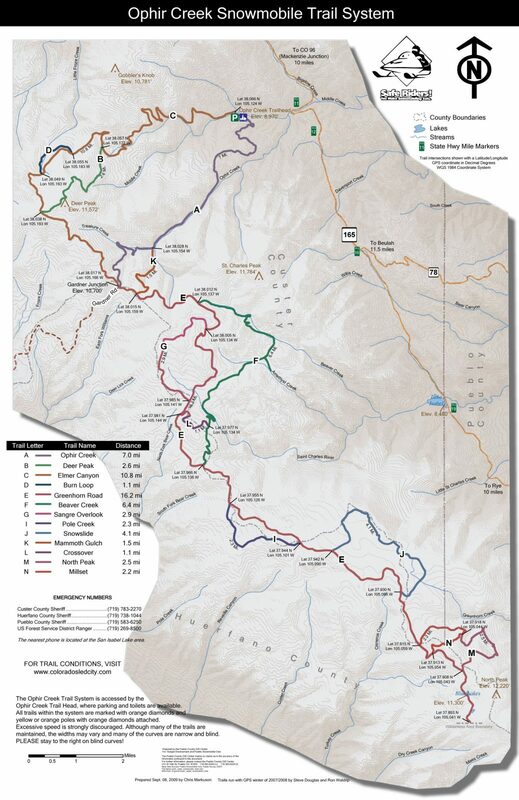 From the Ophir Creek Trailhead, take the Ophir Creek Trail to Mammoth Gulch Trail. Then hang left onto Greenhorn Road. Old logging cuts and meadows make up the side-loop trails off Greenhorn Road, many of which have open areas for carving and playing.